The entourage of Chelsea target Ivan Rakitic has told an Italian outlet La Gazzetta Dello Sport (Via Marca) that the Croatian star will not be leaving Barcelona this summer transfer market. Ivan Rakitic is supposedly interested in renewing his contract at the Camp Nou but a deal is yet to materialise for Croatia international. 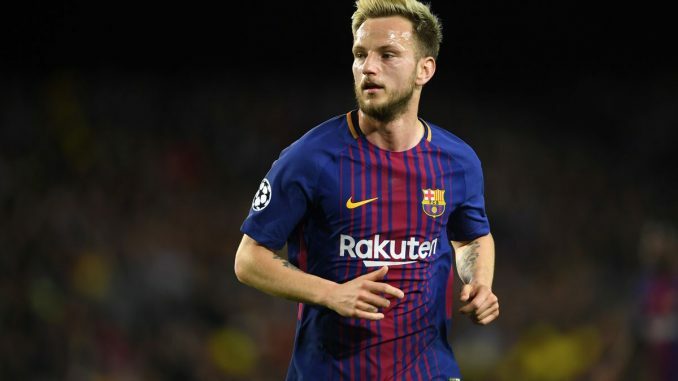 A number of top teams across the continent were keen to capitalise on this uncertainty to secure the signature of Rakitic during the transfer market. Chelsea, Ligue 1 leaders Paris Saint Germain and struggling Serie A outfit Inter Milan showing interest in him as it looked more and more likely that Blaugrana would cash in on the 30-year old star. However, the transfer did not materialise in the winter market and Rakitic’s agent, Arturo Canales. has doused any hope of reviving any interest at the end of the campaign. “It is an impossible scenario to see Ivan leaving Spain in the summer.” – Canales said. Ivan’s contract currently runs until the summer of 2021 and it appears that he will see out his existing deal at the Catalan heavyweights.